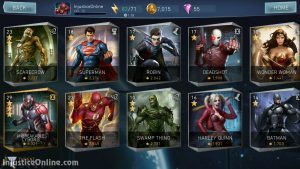 Injustice 2 Mobile is the squeal to Injustice Mobile and the on the go companion to the console version of Injustice 2. It is build upon Unreal Engine. In the game you have a certain amount of fighters, spread across different classes with different abilities, talents and gear. You can level these characters and you can also build teams of up to three of them to fight your way through the different modes of the game. That is pretty much where the similarities with Injustice Mobile end. 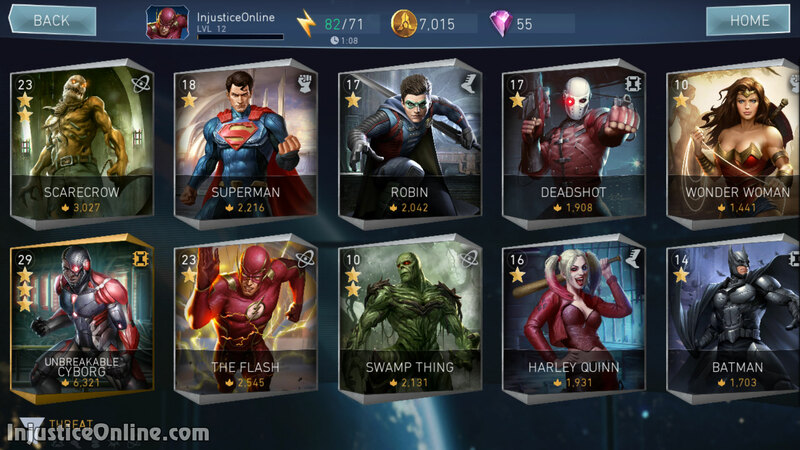 When Mortal Kombat X Mobile was released 2 years ago it was more or less a re-skinn of Injustice Mobile. Injustice 2 Mobile on the other hand offers a much different gameplay with a lot more control over the battle. You can now move across the arena by dashing forward and backward. You also have low, standard and jump attacks. Each character has several special and one super attack. From the start the game offers multiple different modes, including Campaign (single player), Arena (multiplayer), Story, with the cinematics from the console version, the currently unavailable Leagues, Operations (a good way to progress when not playing the game), Challenges (accessible after you reach account level 10 to give you a chance to fight for character shards) and Resource Missions. The game kept us occupied with tons of things to do for several days. Even without using real money, you don’t really feel stuck for a long time. Thanks to the daily challenges and Achievements you have the constant feeling of progressing further up to the point where you don’t really want to put your phone aside and go to bed. Now lets take a look at the stability and the overall performance of the game. Here we have a very pleasant surprise. For a first global release, the game is almost perfect. It runs much better and faster than Injustice Mobile and Mortal Kombat X Mobile. We tested it on a 2nd generation Nexus 7 and Samsung Galaxy Note 3. Both devices were able to handle it much better than they did the previous two games. Sure we stumbled upon several bugs, like story mode cut scenes not playing after battle or a few crashes but all in all, great job on the side of Netherrealm Studios here. Now lets take a look at the not so good. Remember the times where the games used to be simple to understand and difficult to play. 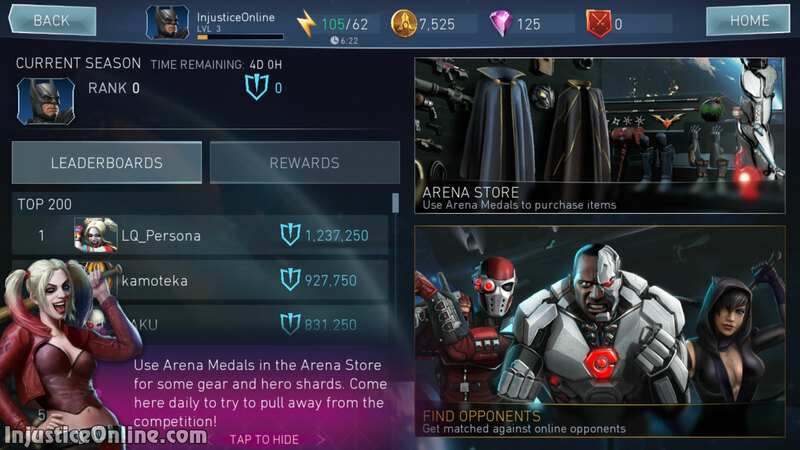 We know, those times are long gone, but for my initial taste Injustice 2 Mobile offers to many different items, from power credits, to simulation modules, to crystals, to shards, to… the list goes on and on and on and it is initially difficult to keep track on all of them and remember what each and every one do. Leveling in the game is also kind of overwhelming at first. 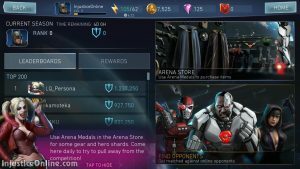 You can level your characters in several different ways, you can level your account you can even level modes and there is a very specific way of doing all that. For example playing online will not benefit your account level, nor your character level. You need daily challenges with the specific currency they give you and campaign battles for those. All those are however normal for today’s standards, so we cannot complain too much about them. Remember when we wrote about not getting stuck when you don’t want to pay. Try until you reach Account Level 10 and you enter challenge mode. There is literally no way for a beginner to obtain all shards of a character through that mode during a single run of the challenge. Which means you can forget about obtaining the new character the first time. And while we are on the shards topic. The store of the game offers you to buy Hero Shards which rotate on daily basis. Today we have Telekinetic Gorilla Grood, who is a gold character. For 200 crystals you get 5 shards. You need 160 shards to unlock the character. Lets pretend we don’t have shards and want to get Grood. 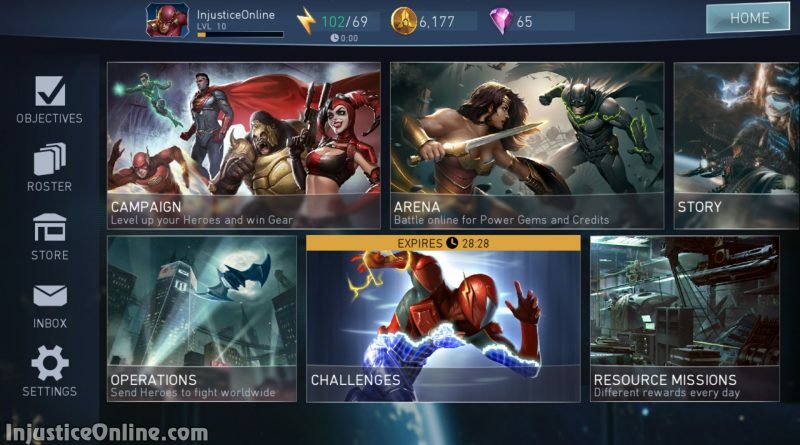 You will need 6400 crystals to get him, which means you need to at least buy the Justice League Vault with 7500 crystals for 109,99 Euro (have no idea what the price is in the US but probably similar). These are 109,99 Euro for a character in a mobile game. And that’s not even with gear and bonuses, it is just for the character, in a MOBILE GAME. Companies are really starting to forget themselves here. What truly scares us is that people are buying those. We really like what we are currently seeing (aside from the things we wrote in the ridiculous part). The game is solid and has much potential and we cannot wait to see where Netherrealm Studio takes it in the next few months. As for the store, just forget it exists and your wallet will be fine. You will progress much slower, but you will have money for food and bills, the things you really need to pay for. Are you enjoying the game so far? Tell us in the comments below. As for the items, there really is too many to keep with, I don’t even know what half of them are for, especially the SIM item. They could at least have given a proper tutorial of the items. Love the graphics and the new characters though. Our items guide will be online in a few hours. There is no feeling of real reward, at least not yet. May be once people have leveled enough to be able to beat the whole challenge. Then with lots of gems you might be able to unlock a character on his second appearance in the mode.